The set up was just simple photos with Santa for children at Grand River Hospital in Kitchener, but a Waterloo photographer helped turn those images into playful Christmas memories as part of a global project. Lisa Horton's son Wyatt doesn't always enjoy going to the hospital for treatment. The 13-year-old was diagnosed with leukemia in mid-September. On top of that, he's had nine surgeries after he was born with bilateral club feet and he's been diagnosed with a mental disability. But on Nov. 30, Horton says he was excited to go to Grand River Hospital in Kitchener. "He knew Santa was coming," the Cambridge mom of three said. "I was really emotional watching him walking up to see Santa Claus because he was so excited." Horton had been told about the big guy in red, but she was surprised to find Waterloo photographer Erin Michalski there as well, snapping photos of Santa and children at the hospital against a green screen. Michalski was taking the photos as part of a global project called Christmas Wish, started by an Australian initiative called The Heart Project. As part of the project, photographers in Australia, New Zealand, and the United Kingdom took photos of children in hospitals, then sent those images to volunteer photo editors who inserted the children and Santa into whimsical scenes. In Wyatt's case, the image shows him holding Santa's hand in a warmly lit room with a fireplace, Christmas tree and a reindeer looking through the window. "I have it all over my social media pages, it has a thousand, million likes. It's just a gorgeous photo and it captures everything that I saw in my son that day," Horton said. "For that brief moment in time, my son actually got back a small part of his innocence that had been taken from him from going to hospitals most of his life. He was so excited to see Santa Claus," she said. "It made our family normal for a little bit." Michalski owns Babycatcher Photography in Waterloo. She says she came across the project about two years ago during an internet search. She reached out to Karen Alsop and said she was interested in taking part. This year, Alsop expanded the program globally. Michalski gathered some friends and fellow photographers for the one-day shoot, as well as a willing Santa. 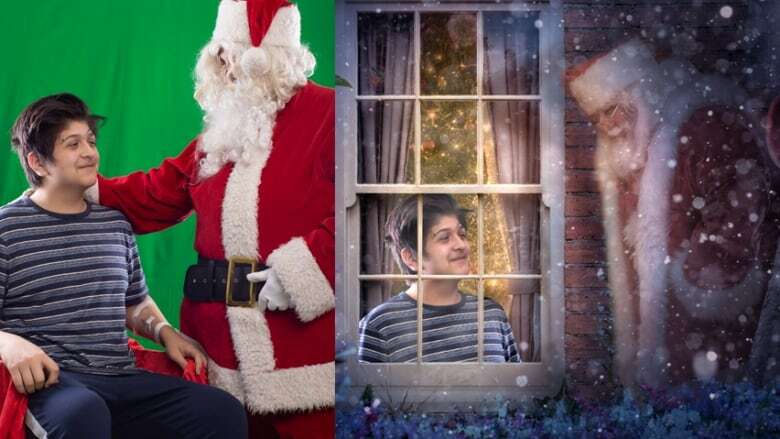 "We told the families, 'We're just going to take a picture of you, of your kid with Santa, and then behind the scenes what we did was we sent our photos to a team of editors," she said. "I don't think that they had any idea that we were doing this so I think it will be, hopefully, quite magically for them and maybe a bit of an escape from the harsh reality they're dealing with right now and give them a little bit of Christmas magic." Globally, more than 200 families received photos. On the website for the project, Alsop says some families who have children in the hospital have never had a family photo done. "Christmas is a time where the world celebrates family and being together," Alsop said. "The purpose of Christmas Wish is to take children out of their situations and bring them some hope and joy during this season." Kevin Vantyghem's 7-year-old daughter, Ava, also got to spend some time with Santa that day and the family received their photo this week. 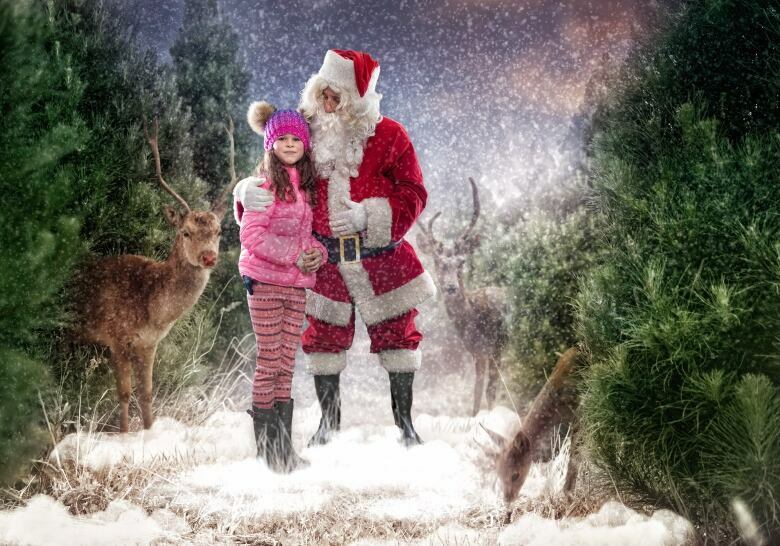 Ava is pictured standing with Santa in a snowy woodlot. Vantyghem says Ava has Type 1 diabetes and she had been in the hospital for a few days after she became sick and needed to be on an IV. 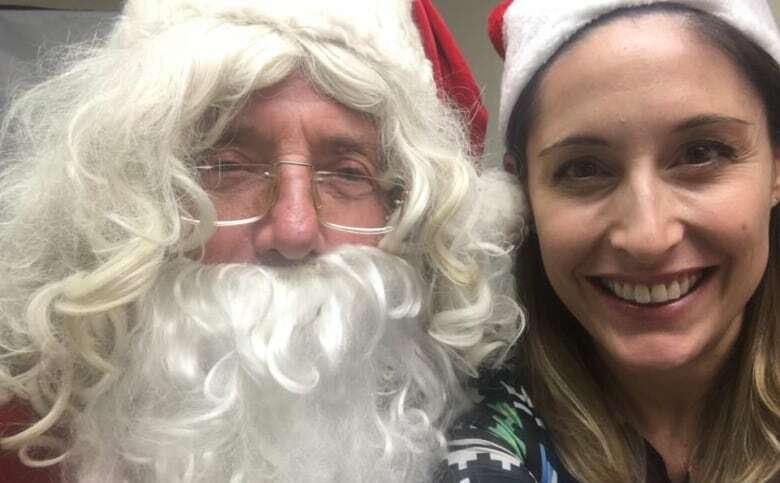 "The nurses had let us know that Santa was downstairs in the clinic and because Ava was leaving, they thought it was a great chance for Ava to see Santa," the Kitchener dad said. "What she went through those three days, to see that little smile on your child's face for that couple moments was quite nice," he said, noting along with seeing Santa, Ava was given a toy as well. "That really made her day and her week after she went through." Michalski was the only Canadian photographer to take part in the project. She hopes next year, other local photographers will want to take part, too. "Watching this unfold in front of me, it felt like Christmas," she said. "It was just a positive experience. I felt great that we were able to provide this experience for families."